GreenPed is a tuning tool especially for electric bikes driven by Yamaha SyncDrive systems (like they are being used in GIANT electric bikes). This device can be conveniently controlled with a free Smartphone App which enables a large number of configuration options. 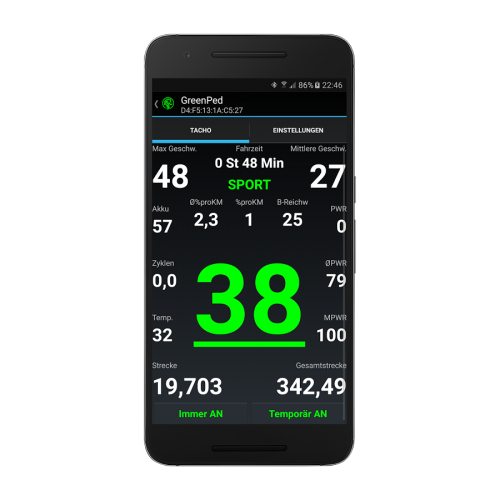 The GreenPed module does not only take away the 25 km/h speed restriction, you can also set the level of the max engine support individually from 15 to 75 km/h (approx. 46 mph). 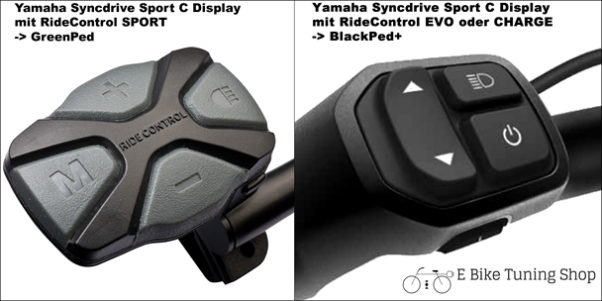 Even if the tuning is active, your Yamaha display will still show the correct speed. A great advantage of this device is that the Smartphone App can show you many more parameters than the ordinary Yamaha display. By the way, thanks to the fact that you can activate / deactivate the GreenPed with your light button, you don´t have to take your Smartphone with you each time you want to use your bike. Easy installation (all required tools are included). This device is a very comfortable tuning solution for Yamaha Syncdrive electric bike systems.